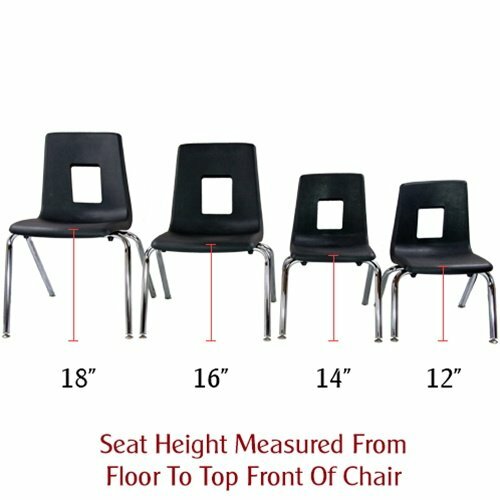 These well constructed, stackable school chairs have a 12" seat height and provide an unparalleled level of durability and value to exceed your classroom seating needs. 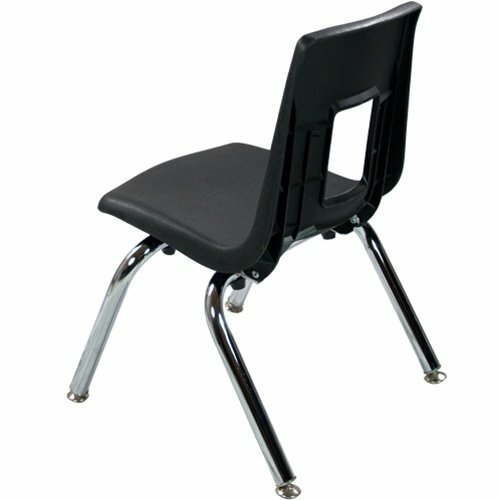 The classroom oriented Advantage Student Stack school chair features a heavy-duty black seat shell made of superior high-density polypropylene, ergonomically shaped for maximum student seating comfort and 18 gauge bright nickel, chrome plated frame. 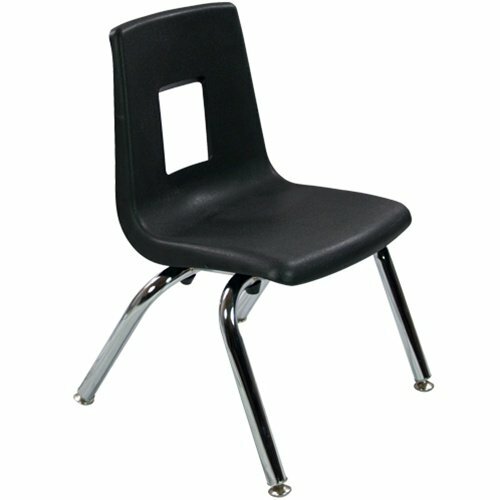 These school chairs provide a stylish and durable classroom seating solution. Each seat shell is designed to promote student seating comfort and correct seating posture for enhanced learning. 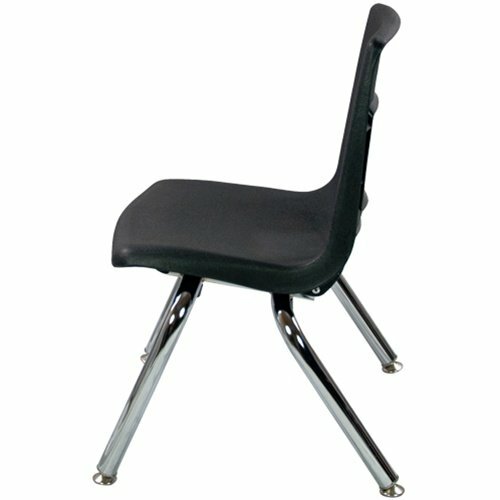 Non-exposed rivets hold the school chair shell to the strong, non-corrosive steel frame while nylon tip glides on each leg help protect delicate floor surfaces. These school chairs are stackable up to 12 units high to provide ease of cleaning and maximum storage within the classroom. If you have any questions about this product by Advantage, contact us by completing and submitting the form below. If you are looking for a specif part number, please include it with your message.